How a hospital’s design could affect your chances of getting a C-section. More deliveries per room may mean a greater incentive to hurry patients along. When pregnant women choose hospitals for their deliveries, they’re more often swayed by a particular obstetrician or midwife than by a hospital’s quality metrics, according to research published earlier this year in Birth Issues in Perinatal Care. Though previous research has found that nearly one in three women end up delivering with a health-care provider they’ve never met or only met briefly, 73.2 percent of pregnant women surveyed in January 2016 said they chose a doctor before evaluating the facility where she delivers babies. Only 17.4 percent picked a hospital first. The research includes responses from 6,141 women who used the pregnancy-tracking app Ovia Pregnancy and answered survey questions in public message board on the app. Nearly three-quarters of respondents said they knew that quality of care can differ from hospital to hospital, but more than half said they didn’t think their hospital choice could impact their chances of needing a Cesarean section. Just over a quarter said they wouldn’t know how to factor a hospital’s C-section rate into their decision-making process, and 56.2 percent said they didn’t even know how high of a C-section rate would be too high. Neel Shah, a Boston OB/GYN who works at health-care research center Ariadne Labs, was one of the authors of the Ovia Pregnancy survey. He says U.S. hospital C-section rates range from around 7 to 70 percent, often with wide ranges in a single zip code. And though hospital choice can be a woman’s biggest risk factor in the care she receives, including her chances of needing a C-section, few women pick their delivery hospital first. “Nobody picks a restaurant based on who the waiter is,” he told Slate, comparing restaurant service to hospital care. The service might be impeccable, but, if the restaurant has a higher-than-average record of food poisoning, not many customers would want to take that risk. Shah and his team at Ariadne Labs recently published an assessment of 12 childbirth facilities around the U.S. that looked at how differences in hospital design and layout may affect C-section rates. 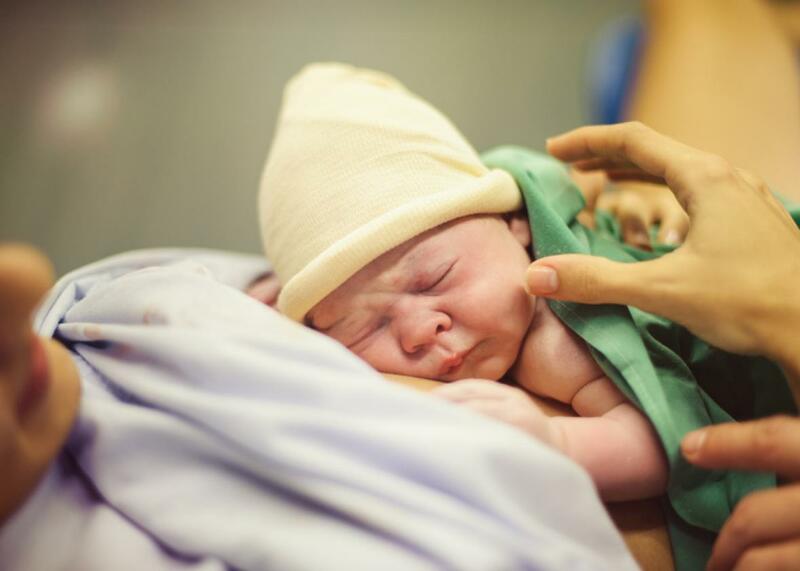 The researchers found that hospitals with the shortest maximum distance between delivery rooms had some of lowest C-section rates, and those with far-apart delivery rooms generally ended up with more C-sections. Maximum distances ranged from 9 to 242 feet in the facilities researchers studied. Longer distances mean more time hospital staff must waste walking between rooms, even if they also mean larger or more private facilities for patients. Researchers found a similar relationship between C-section rates and the maximum distance between delivery rooms and the “call rooms” where hospital staff can sleep, shower, and take care of administrative responsibilities—longer distances meant, on average, higher C-section rates. There are certain cases in delivery that all doctors would agree would warrant an unscheduled C-section. But most patients present more ambiguous cases, where a health-care provider’s subjective judgment comes into play. “The most common reason [we do C-sections] is that we don’t think labor is progressing normally, but we don’t have any really great way of knowing whether or not that’s true for the woman directly in front of us,” Shah says. Her uterus may not be contracting enough, the baby may be too big, her pelvis may be too narrow, but “even in 2017, we don’t have objective ways of knowing that. And so obstetricians have totally different thresholds for when to act.” If a doctor’s facility has a high delivery-to-room ratio, she may be pressured to move patients through more quickly, incentivizing her to opt for a C-section before another practitioner might. That may be one reason why the Ariadne Labs research found that hospitals and birthing centers with more annual deliveries per room were more likely to have higher C-section rates. Birth centers and midwives try to keep a standard of care of 100 deliveries per room per year, according to the Ariadne Labs report. One hospital the group studied delivers an average of 479 babies in each labor-and-delivery room each year. Shah recommends that pregnant women and their partners look at the whole ward and the process of delivery care, not just the delivery room, when touring birthing centers. Where will they check in, sit for triage, and recover? Where are the nurses and doctors hanging out—is it near the labor and delivery area or further removed? Prospective patients could also benefit from looking at publicly reported hospital data, like C-section rates and rates of hospital-acquired infections, on internet databases such as the one run by the Leapfrog Group before choosing a facility. Shah doesn’t think U.S. patients have embraced online-review research for health care in the same way they easily research ratings for consumer products on Amazon or restaurants on Yelp, but this kind of data could help them make better-informed decisions about where to seek care. Then again, women more concerned with feeling comfortable with a favorite practitioner during their pregnancy may not be swayed by variations in hospital quality. In the Ovia Pregnancy survey, nearly three-quarters of women said no difference between two hospitals’ C-section rates would be large enough to make them change their minds.